OSWEGO – The Zonta Club of Oswego is dedicated to advancing the status of women. On September 25, the proceeds of the 31st Annual Amelia Earhart Woman of Achievement recognition ceremony will be used to support four scholarships and several service projects for women in Oswego County. The American Foundry will play host as members of the greater Oswego Community honor Julie Chetney for her selfless service to our community. Pictured: Zontian Inga Back, Jacqueline Julien and her parents. 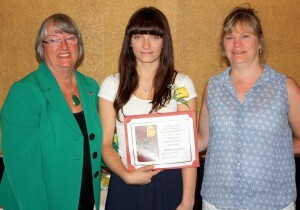 Jacqueline Julien was chosen for the Young Woman in Public Affairs scholarship. The Young Women in Public Affairs Scholarship is offered to female high school seniors who have been accepted into a formal higher education program leading to an Associate’s Degree or Bachelor Degrees. Julien graduated from Paul V. Moore High School in Central Square. She will attend LeMoyne College with a major in Biology and a concentration in pre-pharmacy. Pictured: Sarah Kane and Zontian Marta Santiago. 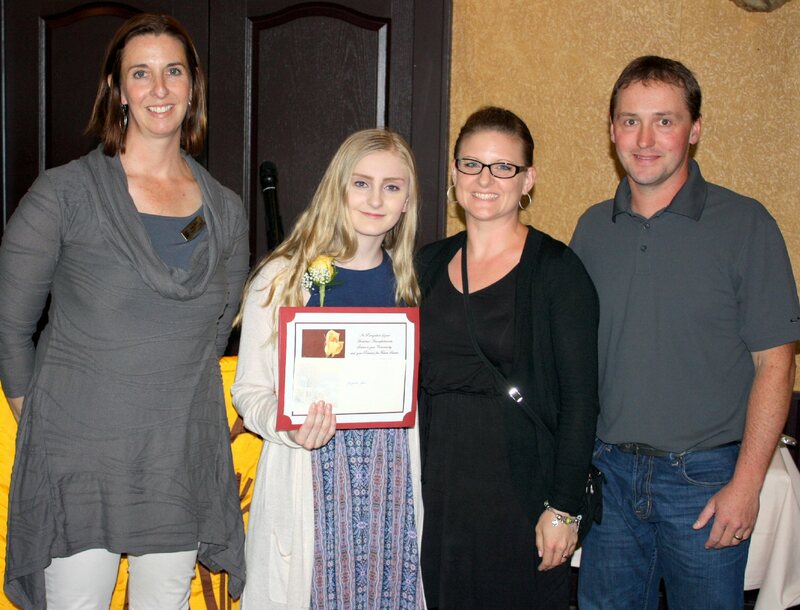 Sarah Kane was chosen for the Jane Klausman Women in Business Scholarship. Jane M. Klausman Women in Business Scholarship is offered to encourage undergraduate women to enter careers and seek leadership positions in business related fields. Kane attends Oswego State and is working on her MBA. She hopes to become an administrator or manager in a higher education environment. Alexandra Grayce Goodnough was awarded Zonta’s traditional high school scholarship. Pictured: Zontian Kristine Bushey, Alexandra Grayce Goodnough and her mother. Goodnough graduated from Sandy Creek Central School. She will attend Syracuse University as a Business Management major with a concentration in Entrepreneurship. Zonta International is a worldwide service organization committed to improving the status of women. Often that can be best accomplished by providing educational opportunities so that women can continue their education. 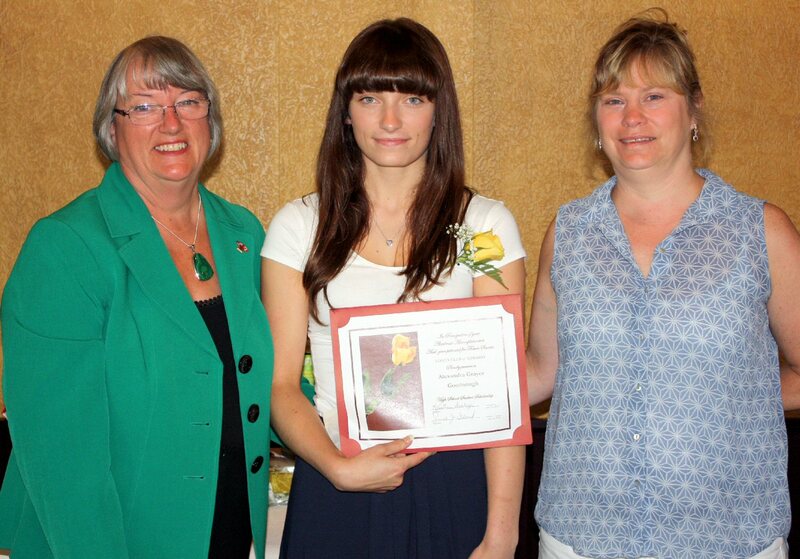 The Zonta Club of Oswego is committed to assisting young women to achieve their full potential. 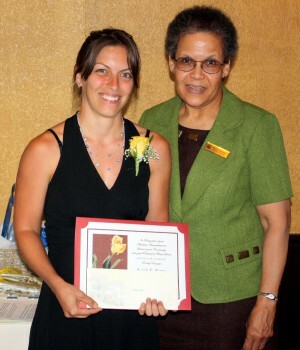 Your support of Zonta events, such as the Amelia Earhart Woman of Achievement award ceremony, enables the Oswego Zonta Club to continue to provide scholarships each year and to provide financial assistance to local service organizations. Examples of other Zonta service projects include: Literacy Volunteers, Salvation Army, and SAF House. In addition, Zonta International provides support for women throughout the world through a network of more than 1,400 clubs. Zonta International is a United Nations Non-Government Organization with representatives on the UNIFEM and UNESCO Committees.